Middle Grades Education, Math and Science Concentrations, B.A. Candidates in the Middle Grades Education (MGE) Program are involved in a rigorous program of study, which integrates content knowledge, skills, and pedagogy. Candidates are prepared to work in diverse cultural contexts through extensive field experiences and technological foci. The MGE degree with concentrations in math and science concentrations prepares candidates for teaching in public schools at the middle level (grades 6-9) and leads to an initial North Carolina teaching license. Complete a minimum of 124 semester hours with a continuous cumulative grade point average of 2.7 or better. 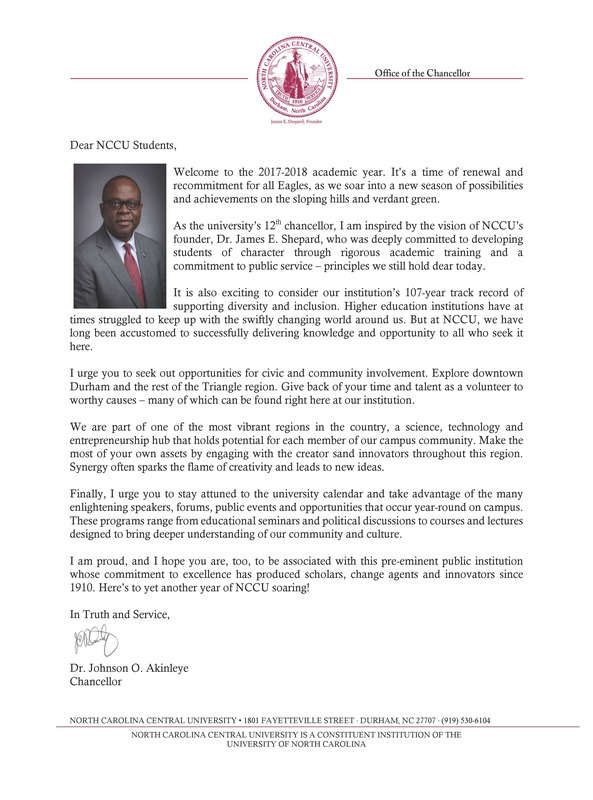 The last 30 hours should be completed at NCCU. Grades of ‘C’ or better are required in all major and concentration courses. Candidates must repeat courses with grades of ‘D’ and ‘F’ in the major. Candidates must maintain a minimum GPA of 2.7 throughout the program. Candidates must pass either the math or science Praxis II examination for licensure in NC before participating in EDU 4107 and 4207 (Level II student teaching). Candidates must pass the math or science Praxis II examination in order to be eligible for licensure in NC.